ALBANY, N.Y. — The New York State legislature passed regulations that appeared in the 2019-2020 budget approval. 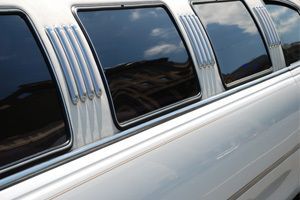 The regulations place limitations on U-turns, give police greater authority to remove plates from limousines, and stricter punishment for illegal limo operators. The newest regulations do not go far enough according to family members of people killed in recent New York limousine disasters, according to The Suffolk Times Review. The grieving families who lost loved ones in limo crashes advocated for additional regulations like compulsory seatbelt use and limo drivers to obtain and maintain a commercial driver’s license issued by the State of New York. Two catastrophic limousine crashes in the last three-plus years demonstrated the need for the New York State legislature to do something to prevent deadly limo crashes. The first accident happened in Cutchogue in 2015 on Route 48. Four young women died in that crash, and four others survived. The deadly limo crash occurred when the limo driver attempted a U-turn in front of another vehicle. The other limo disaster happened last fall in Schoharie. All twenty people aboard a stretch limousine died, including the driver, in that catastrophic incident. The Schoharie incident prompted the victims’ families from the Cutchogue accident to obtain a meeting with Governor Andrew Cuomo’s staff. During that meeting, Governor Cuomo’s staff members reportedly threw his support behind the suggestions made by the Cutchogue victims which included commercial driver’s license requirements and mandatory seatbelts in limos. Governor Cuomo included those additional two measures in his executive budget proposal for the fiscal year 2019-2020. New York legislators removed those two requirements from the budget proposal that ultimately passed. Legislators announced they would hold hearings on the new regulations. The chair of the state Senate Committee on Transportation said that the hearings should commence in the first two weeks of May 2019. The hearings will discuss the stricken proposals. Have you or a loved one been injured or killed in a limousine accident?